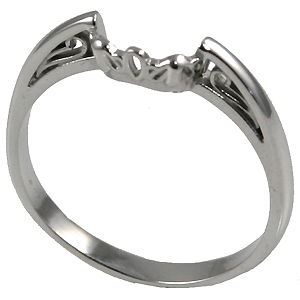 Stock #S102B:1 or 2 Carat Band in 14K White Gold for the Antique style scroll Solitaire Ring. Also available in yellow gold)... Matching earrings & pendant available. Other stone sizes by special order. THIS ITEM HAS BEEN DISCONTINUED.